On your learner licence, you must complete 100 hours of supervised driving (including 10 hours of night driving between sunset and sunrise). These hours must be recorded in the Learner Log Book issued to you. Driving experience in Australia or New Zealand on an Australian or New Zealand learner licence can count towards your 100-hour requirement if you fill in a Prior Driving Experience Declaration (Form F4450). Driving experience gained in a recognised country on a foreign learner licence can also count towards your 100-hour requirement if you fill in a Prior Driving Experience Declaration (form F4450). This experience can count as no more than 50 hours as it is a requirement to progress that at least 50 hours (including the required 10 hours of night driving) must have been gained on Australian roads and recorded in your logbook. When you pass the Q-SAFE Practical Driving Test, your red Ps (provisional P1 licence) is valid for up to 5 years or until you get your green Ps (provisional P2) or open licence (if you were 24 when you got your P1 licence). Your provisional P1 licence can be renewed if you haven’t progressed. In addition to following the road rules like all road users should, there are specific rules associated with a provisional P1 licence. Disobeying these additional rules could result in heavy fines or loss of licence. 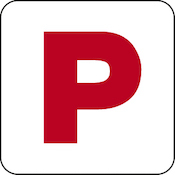 If you were under 23 when you got your provisional P1 licence (red Ps) you must pass the Hazard Perception Test (HPT) and then hold your provisional P2 licence (green Ps) for at least 2 years to progress to an open licence. If you were 23 when you got your provisional P1 licence (red Ps) you must pass the HPT and then hold your provisional P2 licence (green Ps) for at least 1 year to progress to an open licence. If you were 24 when you got your provisional P1 licence (red Ps) you must hold your P1 licence for at least 1 year and pass the HPT to progress to an open licence (you get to skip the green Ps). If you were over 25 when you pass the Q-SAFE Practical Driving Test, you will skip the red Ps and be issued a provisional P2 licence (green Ps). You must hold this licence for 12 months before you are able to progress to an open licence and you won't have to take the HPT. Periods in which your licence has been expired, suspended or you are disqualified do not count towards the stated time requirements.